Most Popular Workouts of 2013? Now this should be no surprise to all of us, however, it is pretty exciting because as I will explain below you can actually cancel your gym membership using this style of training properly. In a recent study done by The American College of Sports Medicine, researchers found that the most popular workouts of 2013 are High Intensity Interval Training (HIIT) and bodyweight training. It’s exciting because as you know, high intensity training is what brings the results. And when done properly, you do NOT even need a gym to workout. Bodyweight exercises are one of the best ways to build up tons of strength and endurance. With exercises such as pushups, pull-ups, and squat variations… You can get A LOT done. The reason I say this is because if you just had THREE pieces of exercise equipment, you could get in some insane workouts. In fact, if you did it properly and progressed properly… You could get in the best shape of your life. Now what equipment would you need? Once you have those four things, you are geared up and ready to get in the best shape of your life. Now you may be wondering, “but what kind of workouts could I do?” I am so so glad you asked, because I just finished a 24-minute Garage Built Body workout that had me lying on the floor dripping with sweat afterwards. The workout was created by my friend Travis Stoetzel, who is a beast himself. I mean, he WALKS THE WALK! Talk about an INSANELY good workout. Now Travis’ full Garage Built Body is at a discount at 59%, TODAY ONLY. 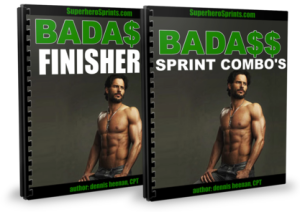 And when you pick up your copy of the Garage Built Body, you get a FREE copy of my Bad A$$ Finishers and Bad A$$ Sprint Combo’s. It’s time to start getting fit WITHOUT the gym and with minimal equipment. 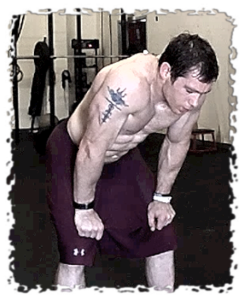 => Click here to grab all the workouts for less than a dollar each <— 25 Garage Built Workouts, 12 Garage Build ALL Bodyweight Workouts, 14 Bad A$$ Workouts from me! P.S. Remember to send a copy of your receipt to dennis (at) fatburningnation (dot) com to claim your FREE Bad A$$ workouts.